Both hospitals I’ve worked at have had the luxury of having a hospitalist team to care for in-patients. At my current institution if the patient isn’t being followed by the resident teams, they’re probably on the hospitalist service. And I couldn’t be happier. Need an semi-urgent order at 2am? Call the on-call doc. They take call from our sister hospital and can look up the patient, labs, H&P and get you what you need. It’s a good thing. In fact, when patients are on other services, surgery most notoriously, finding the right person to call to get orders, much less have them call back in a coherent state is a Sisyphean task. As much as the new article, “New Breed of Specialist Steps in for Family Doctor” is a good advertisement, it makes them seem like they walk on water, heal the sick and infirm while ushering LOLs across the street. But it sorely misses the point. Like a football team, the quarterback is just one lonely guy. The hospitalist is that, the quarterback. Calling the play and setting it in motion. But they’re just one piece. Often the amount of discharge work they do is write an order for “Social work to see for d/c planning.” The social workers set up the outpatient appointments, get nursing home placements done, arrange for the patients to get hooked up with necessary social services and agencies. The bedside nurses do the majority of the discharge teaching. Pharmacy will suggest alternatives for expensive home prescriptions. The quarterback doesn’t function in a vacuum. Too bad the article missed that point. For me though, I’m sure glad we have a quarterback. Aiming to cure deafness, Stanford scientists first to create functional inner-ear cells. Too much rock n’roll? Continually turning the amps up to “11”? This won’t help, yet. As someone who suffers from hearing loss, I found this really cool. I can see it now though, the hearing aid companies will mount a huge lobbying offensive against it as it will pretty much put them out of business. I know, as nurses we are subjected to the worst (and the best) that humanity has to offer. The sobering truth is that an ungodly percentage of health-care worker have been subjected to violence and abusive behavior in the workplace at least once, if not more. There is no excuse. Full stop. There are mitigating factors however. We all have cared for the demented elder who is acting out of fear rather than malice, or the intoxicated patient – although they get very little lee-way, or the patient dealing with effects of anesthesia or other medications. These, while not OK, are part of the job. It is the willful violence, by families, patients (not with mitigating factors) and sadly our co-workers that is the type I refer to. You know what I’m talking about. Odds are you’ve experienced it. I found this through Twitter and believe that it should be posted on every outside door, door to each unit and randomly throughout our work places. It is not acceptable for health-care workers to be subjected to this. 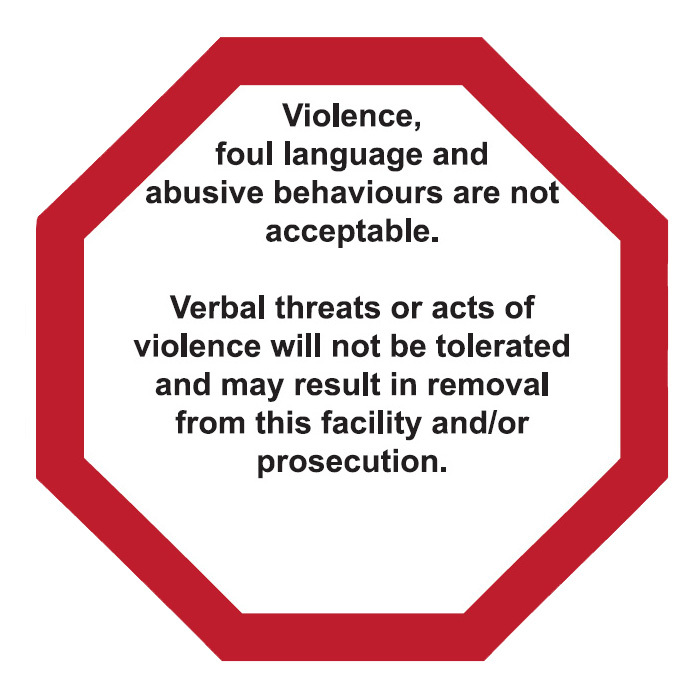 Violence and abusive language is NOT in our job description. Too bad it will fall on ears deadened by lawyers and risk managers. Relevant source: OHSHA of British Columbia (yes, Canada folks), Violence Prevention Resources. In spite of a a few unexpected hurdles, like having an outdated computer that doesn’t support the iPhone and no work-arounds available, I’m digging it. So yes, I drank the Kool-Aid. Yep, I slung myself to the tender mercies of another national monolith and locked myself into another contract. But I couldn’t be happier!